Each small black dot represents a single African Elephant sighting. 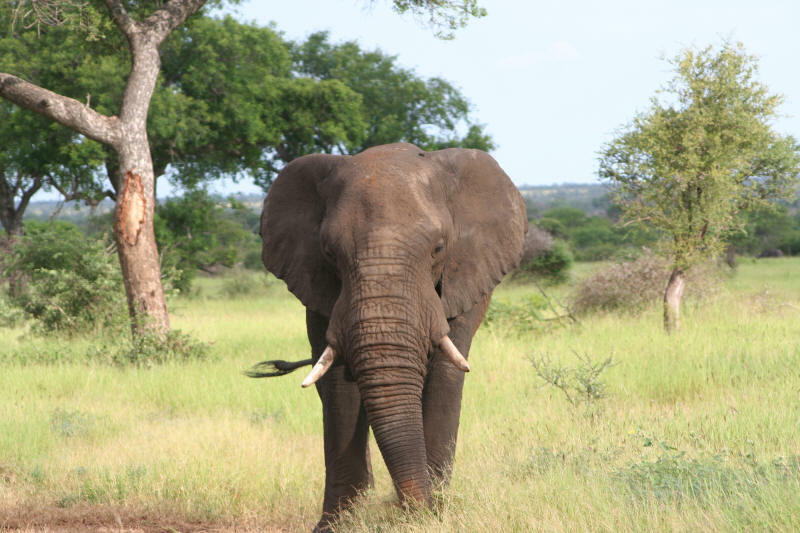 It does not take into account how many African Elephants were seen a that point in time only that a sighting was made. Refer to the table below to see more detail on the actual numbers sighted (African Elephant normally move in matriarchal herds). Where there are dense clusters of African Elephant sighting dots suggests this would be a prime area for spotting the African Elephant. 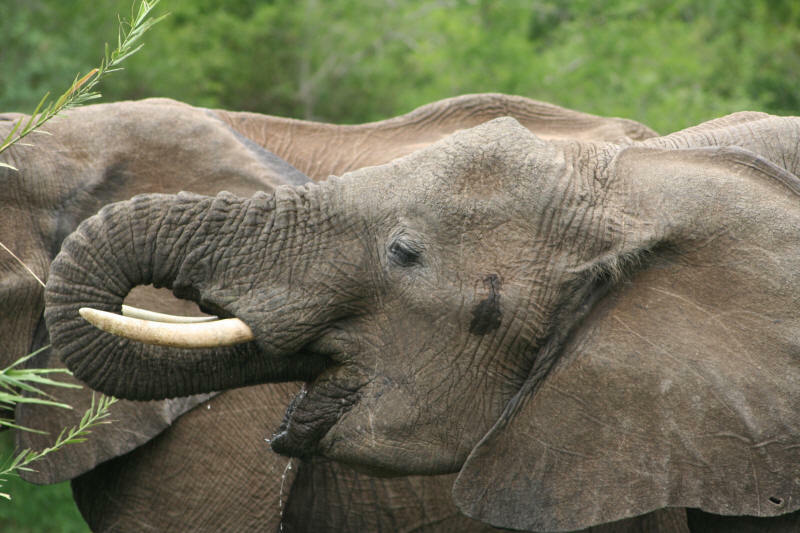 The Elephant can be seen over most of the Kruger as the map plainly indicates with a tendency to favour the eastern side of the park. Take note of the occasional sighting in Mozambique ... the Transfrontier Park has allowed some animals to migrate. To see other "Big 5 ... including lion and leopard" distributions click the link. Basis: March 2005 to Feb 2006 Ranger observations using GPS (global positioning system built into Cybertracker PDA operated units).